This video talks about the Raspberry Pi and shows some example projects running on the device. So what is the purpose of this video? I am going to show you a few cross-platform projects I have written and shows how they run on the Pi. Cross platform is the key here because C and C++ are supported on many platforms, you can use cross-platform libraries to create code that can compile for multiple platforms. The first thing you will need is a MicroSD card and to install PIXEL using NOOBS. I purchased a kit off of Amazon (CanaKit) that came with a Raspberry Pi, Power Adapter, MicroSD card and HDMI cable. I will assume you have PIXEL installed. So the language we are going to be using for this first project is C++. Instead of just doing a boring text printing of Hello World, this program will also print character by character some information about the Raspberry Pi. This project is using SDL/SDL_ttf. This allows me to compile for multiple platforms as long as I do not use any platform specific libraries unless I were to use conditional compilation. This program is a simple 2D Match the blocks style game. The point of the game is you line up three blocks of the same color in either a horizontal, vertical, or diagonal line to clear them from the screen. The graphics for the start screen has the word 'MasterPiece' spelled incorrectly. This project is using a graphical user interface instead of just a game window. This project requires libopencv-dev and libqt4-dev. On the Raspberry Pi it works in video mode and allows you to select a video file and some filters, and it will process the video and output a video file. You can enter text mode by pressing CTRL + ALT + F1 or using raspi-config Type in the terminal: sudo raspi-config and set the device to login in textmode. When in text mode you can run SDL applications from the terminal and they will use directfb and smaller resolutions will be stretched to fullscreen. From what you saw here you can see that the Raspberry Pi is very easy to program. Not having to compile cross compilers and just being able to login to the system with a keyboard and mouse and compile your programs. It can save a lot of time and headache. I would also recommend enabling ssh and using a key, so you do not have to enter your password each time. With ssh enabled you can copy files with scp from your computer directly to the Pi. If your thinking about buying one I would say go for it because they are cool devices and tons of fun to code for. Please Feel Free to Redistribute (As a Free Download) any of the software on this page. Added new version of Acid Cam v2.1.9. New filters/menu design. Download. Acid Cam for macOS supports 4K resolution so added a sample in 4K on YouTube. 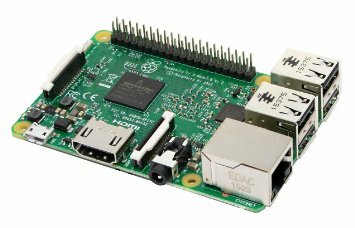 Acid Cam v2 Qt is now supported on Raspberry Pi 3/Raspbian. Added new version of Acid Cam (v2.1.1) and a few new blog posts. Be sure to check out my GitHub page. Updated bug report page with current projects on GitHub. Been working on Acid Cam v2.1.0 and adding new videos to the YouTube channel. Added XChip project to the blog I helped work on with my friend on GitHub. Added new version of Acid Cam for MacOS X. You can now download Acid Cam from Google Play. Finally signed up for twitter you can follow me here. This site now has a BitTorrent Tracker so I can share larger files. Added fixed versions of Super Stoner 420 and Apps collection that fix the issues with the software when running on MacOS X Yosemite. Spent a long time trying to figure out why OpenCV would not compile on Yosemite. Figured it out and statically linked Acid Cam VR 1.1 with the libraries so you no longer need the MacPorts version of OpenCV installed to /opt/local for it work. It should work as long as you have the Oculus Runtime. Added Acid Cam VR for Oculus Rift DK2 to the site with a version for Windows and MacOS X. It seems the first version of Acid Cam (1.7.7) is incompatible with MacOS X Yosemite for some reason. So if you using Yosemite just pick up version 2 of the program. Bad news, seems apple deprecated and now dropped support for one of the libraries that SDL 1.2 that I used to compile the majority of the games on this site. So that means I have to recompile and repackage the majority of these programs to get them to work on Yosemite. So the last version supported was 10.9. Added our first program for the Oculus 2. It requires that you at least have have the Oculus 2 Runtime. Added up to date version of Acid Cam 2 for Microsoft Windows. The Site has been redesigned and its looking great. Thanks to my friend Daniel Daley who designed the page. Added a image file with the different LostSideDead graphics programs I have created. AlphaFlame HD Launcher needs to be copied to /Applications . Made this music video with Alpha Flame HD quite a while ago, check it out! Added a compressed Archive containing the source code for Acid Cam 2 to the site. Added a video demonstration of Acid Cam for iPhone. Updated Acid Cam to version 2.0.16. Added all the filters from AF_Filter and you can now jump to any frame when processing a video.